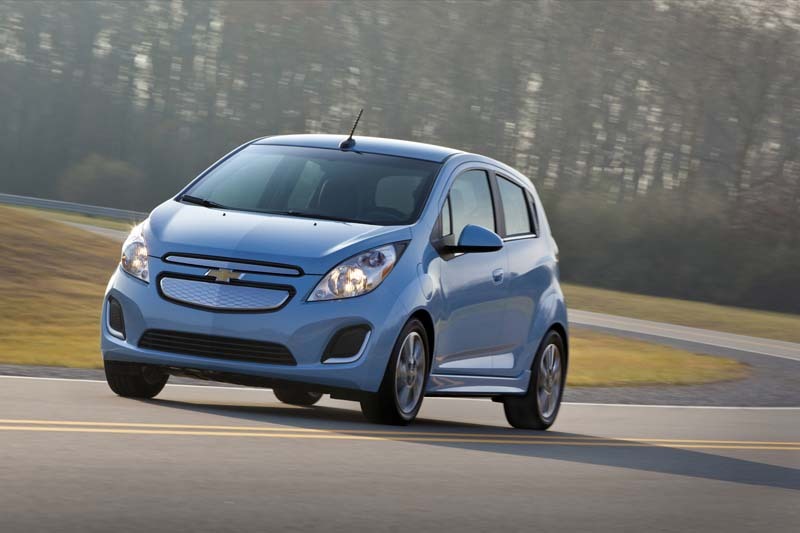 The 2014 Chevrolet Spark EV, unveiled at the 2012 Los Angles Auto Show, packs smart performance and connectivity technologies into an affordable five-door urban mini car priced at under $25,000 with tax incentives. Expected to have among the best range in segment, the Spark EV also has 400 lb-ft of torque and can charge up to 80% in 20 minutes with optional SAE Combo fast charger. Aerodynamic treatments throughout the exterior enhance Spark EV’s range.